Who knew you could have so much fun with cardboard and technology? Nintendo, one of the world’s biggest video game companies, was thinking outside the box when it created a cardboard gaming platform for its Nintendo Switch. That’s right, we said cardboard gaming platform. In the most unusual of pairings, Nintendo’s Labo, which hit the shelves just last month, combines cardboard with technology, giving kids engineered, pre-cut cardboard sheets to construct parts needed to play the video game. Bill Nye the science guy had a grand time constructing cardboard Toy-Con RC cars, a fishing rod, a motorbike and a piano. Cardboard has a knack for bringing out the kid in all of us – think Christmas morning when the kids played with the toys boxes more than the toys – and we’re reminded that cardboard does more than serve as a dependable tool to safely transport goods around the world. Cardboard inspires artists of all ages. 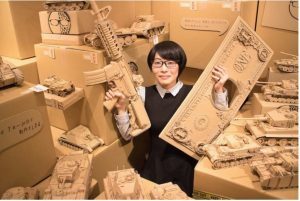 Take Monami Ohno, who made a name for herself as a sculptor of cardboard. 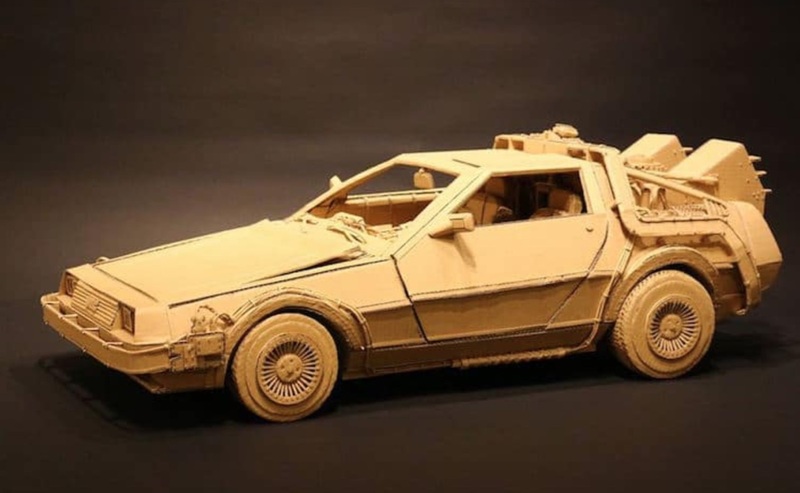 While we may not be as skilled as Monami the sculptor or Nintendo’s LABO team that dreamed up the new cardboard game, MRBOX does get creative when it comes to finding solutions for our customers. Our onsite printing service lets us customize cardboard shipping boxes using a combination of 16 million colors to add our customers’ brand colors, logos, and taglines. We have more than 1,000 sizes of cardboard boxes in our warehouse and we can custom-cut cardboard boxes to whatever size our customers need. Questions? Call us at (954) 572-2500 or (800) 231-8806, or send us an email at David@MrBoxOnline.com. We’re here to help!